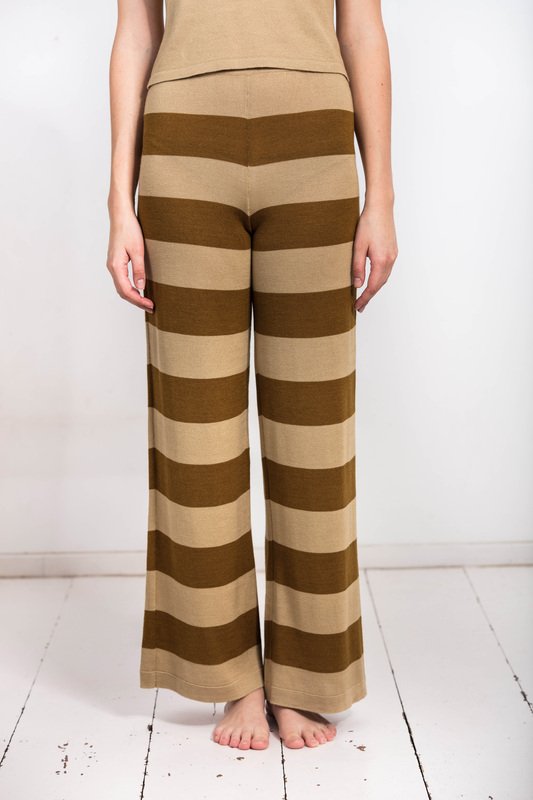 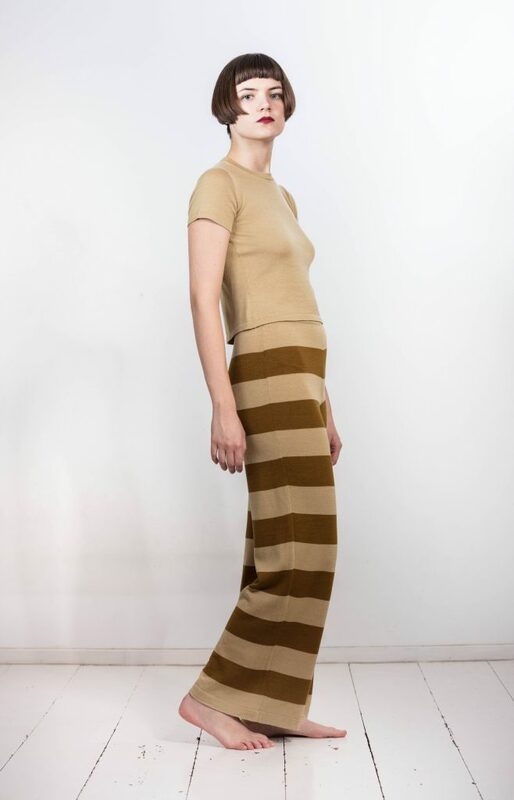 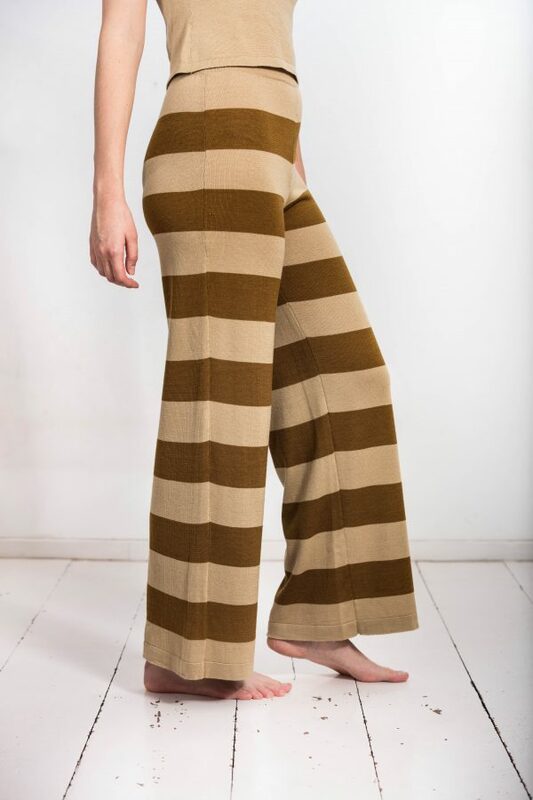 These light-weight trousers made of a very high quality and smooth knitted cashmere silk yarn is super comfortable on the skin, an all-round feel-good garment and at the same time very elegant. 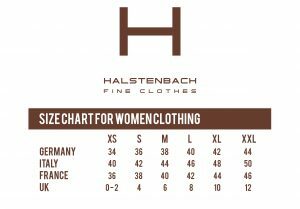 The special yarn blend and the type of embroidery meet all the wishes of the discerning customer for a sustainable garment. These pants will be with you for a long time. 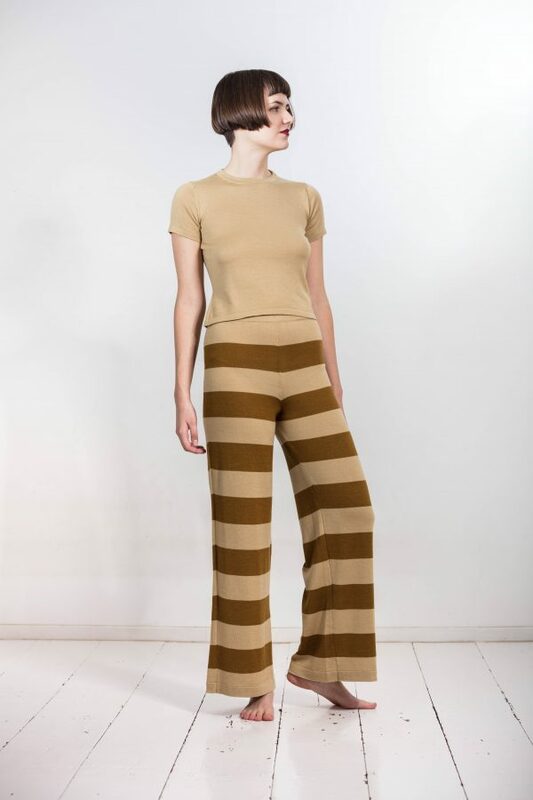 It is broad and straight cut with 7 cm wide block stripes in the colours wheat gold and amber. Can be combined for example with our coat “Maglia Tessuto” or with oversized cardigans. The scope of order includes only the trousers shown.